Derik and Krupa will be getting married this November in Scottsdale, Arizona. Sister of the groom and top wedding planner Sonal Shah requested their save the dates to give guests a flavor of the desert and cactus enamored state. 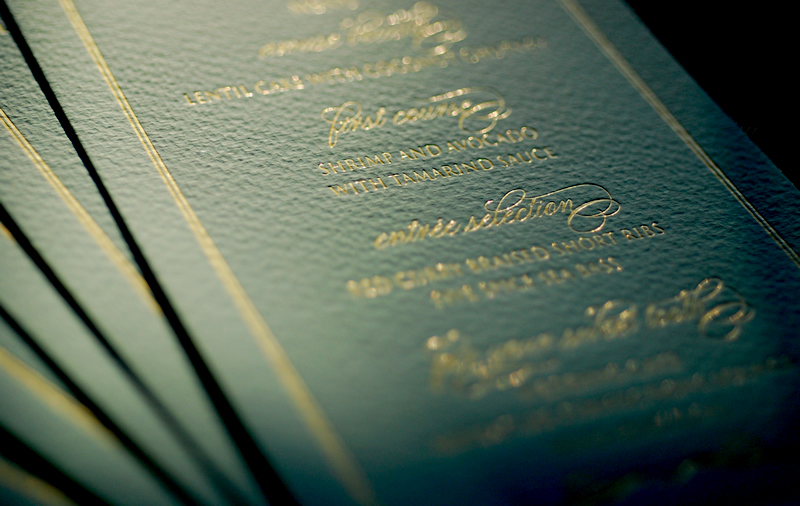 We completed these suites on an earthy green paper and imprinted the save the date information with a mountain landscape image in copper foil. 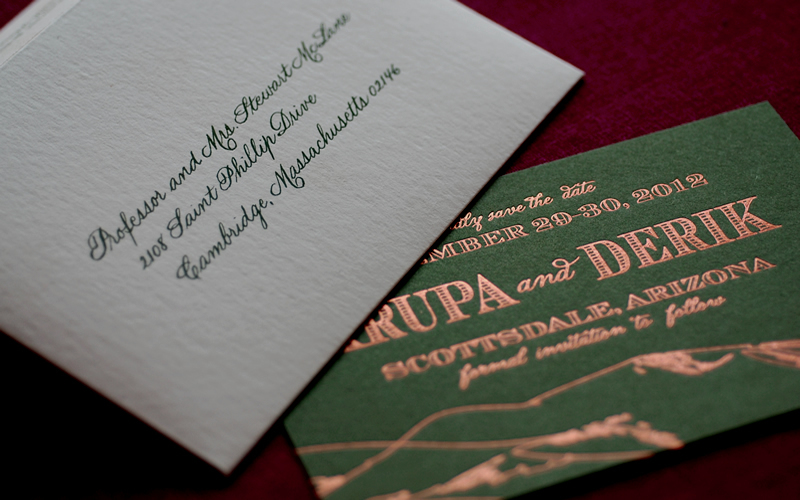 The coordinated envelope was printed with the return address – and this particular example showcases a matching green ink in the calligraphy. 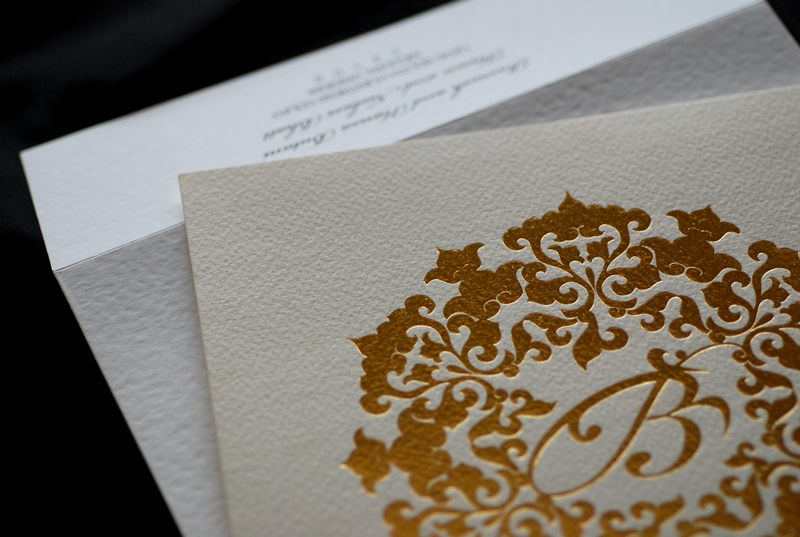 The calligraphy on the sample is courtesy of Caren Milman, a calligrapher we highly recommend who is based in Rockville, Maryland.